Could your portfolio use a boost? 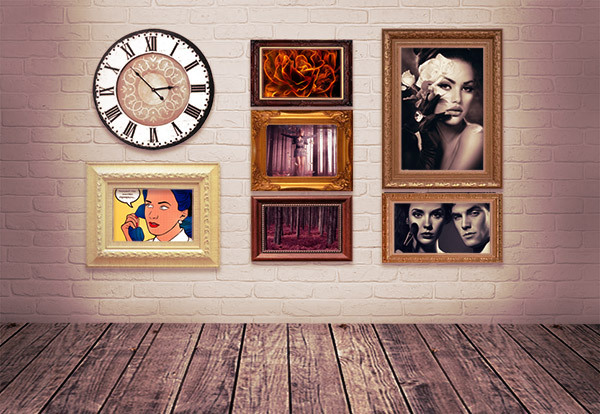 In today’s tutorial you’ll learn how to create a unique wall display that showcases your own art collection and is perfect for any portfolio review. Learn how you can quickly create a scene out of several stocks using simple manipulation techniques. Let’s begin! 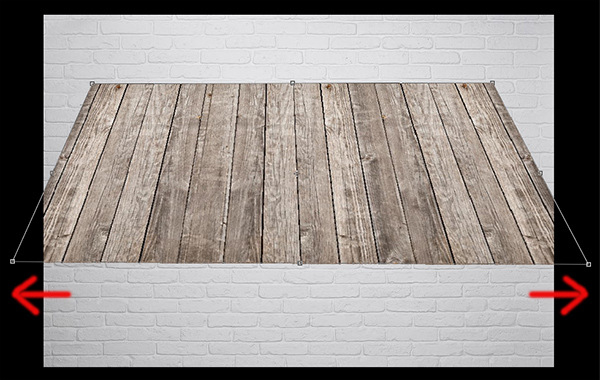 Open up a photo of a concrete wall in Photoshop, then Copy and Paste the floor you would like to use onto the canvas. Control-T to Free Transform and select Skew to change the perspective of the floor. You want to make sure to pull the bottom points outward to make the floor lay flat into perspective. 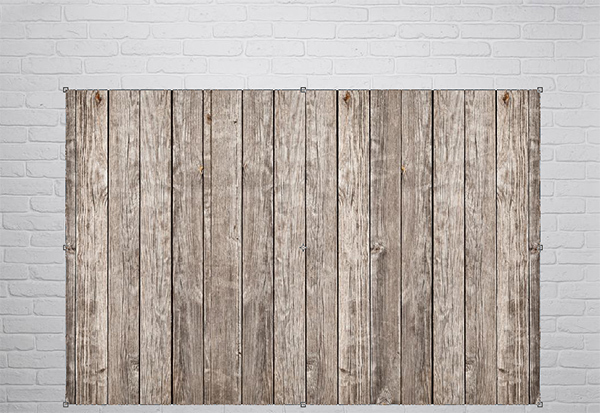 When you’re finished, position the floor into place towards the bottom of the wall. 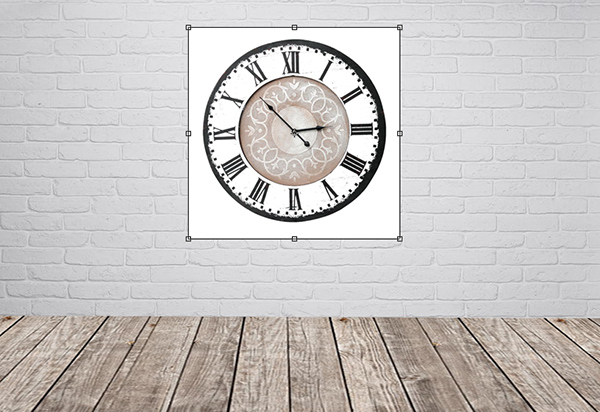 Then Copy and Paste the vintage wall clock onto the canvas and resize it via Free Transform. 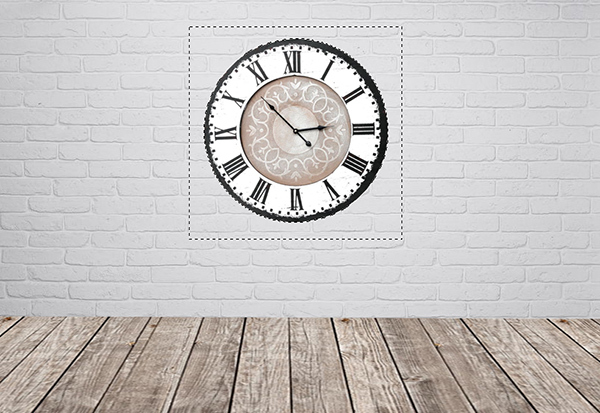 Using the Magic Wand Tool (W) select the white area of the wall clock and hit Delete to delete the white background. Don’t worry about its position just yet because we’ll move it to a better position later. 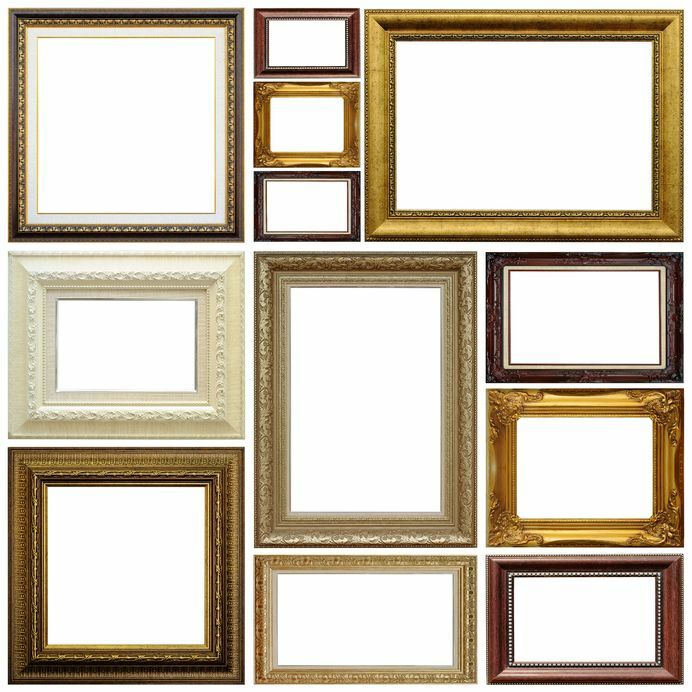 Follow the same steps as before to paste in the picture frames, extracting the white areas first with the Magic Wand Tool (W). Position all the frames where you’d like them to be, resizing them if you need to. 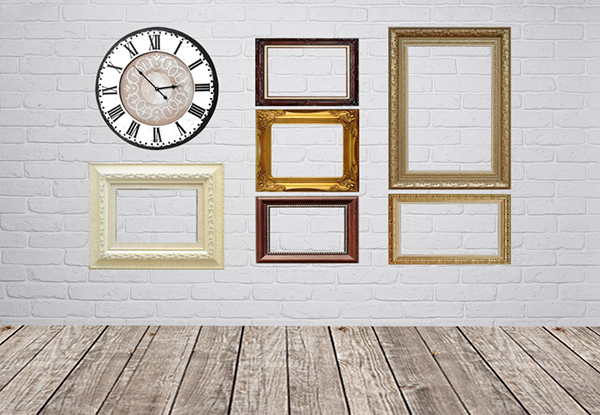 Experiment with the layout to find the best way to fit the frames onto the wall. Add two new layers. With the first layer select the Brush Tool (B) and paint a soft black shadow along the sides of the wall and on the floor. 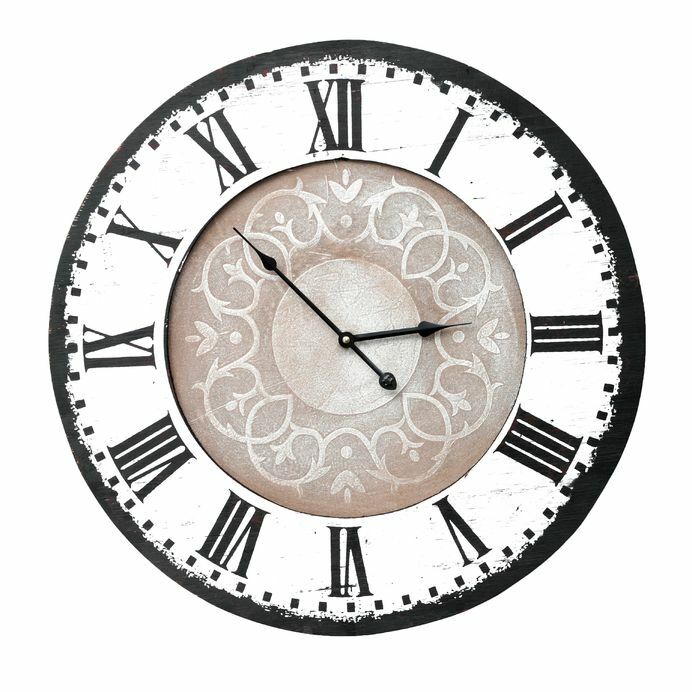 Set the second layer to Overlay, and paint a white bright spot in the middle of the wooden floor for added drama. 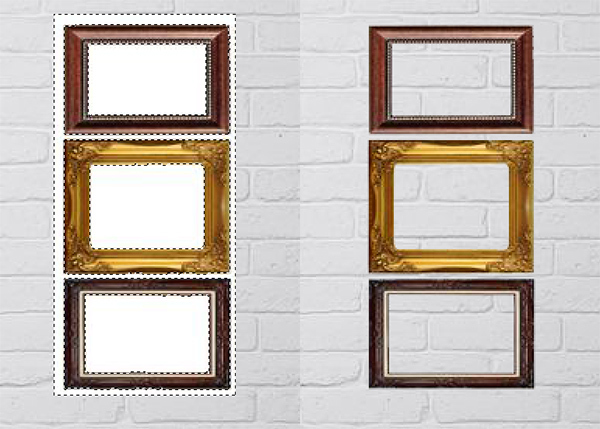 Copy and paste your own art pieces onto the canvas, resizing them with the Free Transform Tool (Control-T). 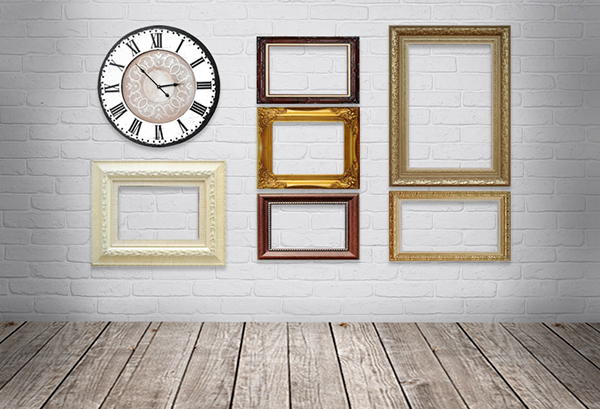 For the perfect framed look, drag your art layer behind the frames layer and use the Eraser Tool (E) to erase any parts of your art that show past the frame. Just like before, experiment with which art pieces you’d like to showcase. Try to find similar styles that go together for a more cohesive look. 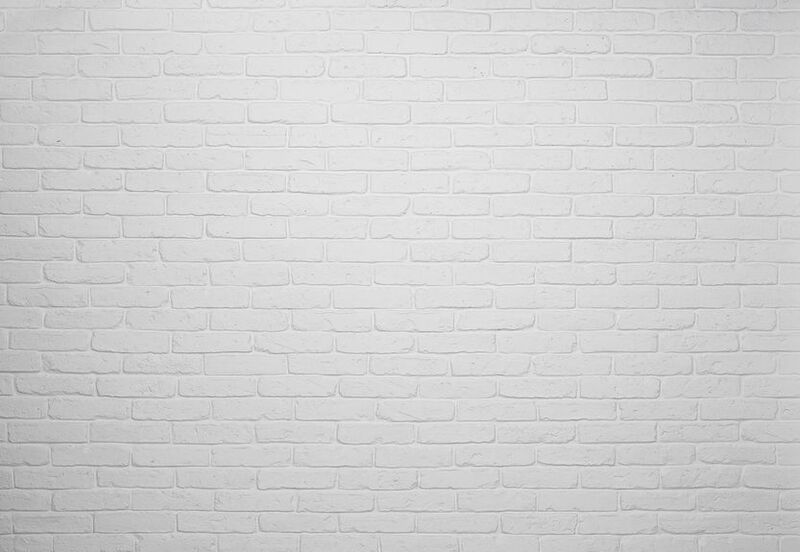 Of course, we used 123RF tutorial images for our wall! 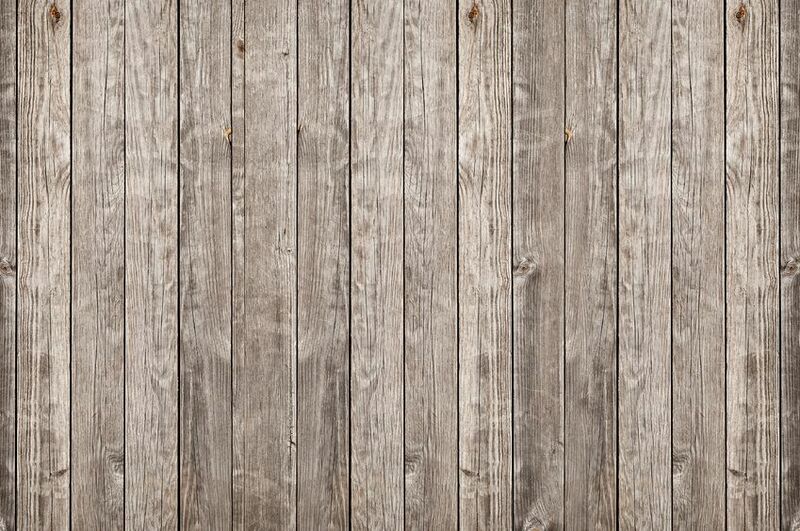 To deepen the floor board, add a Clipping Mask to the floor layer and fill it with a blue color (#317ba1) set to Color Burn with an Opacity of 50%. To finish this piece, add a layer filled with a bright red color (#ed5c3b) set to Color Burn, bringing the Opacity to 25%. This will really help to set the mood! 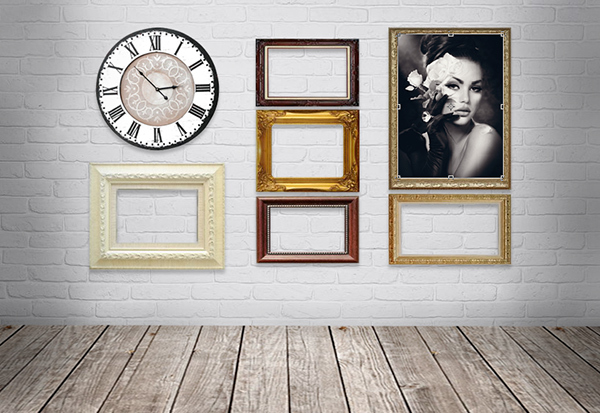 I hope you’ve enjoyed creating this fun wall display for your portfolio! Have fun putting one together and let us know how it helped show off your art! Good luck!